A new survey has found that ESG principles are more important to Millennial investors than their Baby Boomer peers. 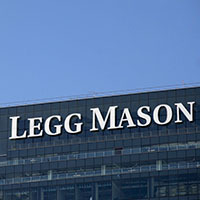 Legg Mason Global Investment Survey found that over 70 per cent of millennial would invest in sustainable funds over funds that don’t consider sustainability. Australian managing director Legg Mason Andy Sowerby stated that Millennials were also more interested in workplace diversity than their Baby Boomer peers. “For Millennials, responsible investing is more important, as they claim to practice sustainable behaviours more broadly and more often than those who are older, particularly investing in sustainable funds rather than those that don’t consider sustainability factors (70 per cent versus 21 per cent for Baby Boomers). Overall Australian investors continue to embrace ESG with 43 per cent of Australian investors say that environment, social and governance factors strongly influence their decisions. The survey found that over half (55 per cent) of respondents avoid businesses with controversial track records and 88 per cent believed fund managers should actively ‘police’ companies to ensure they act responsibly. Forty-five per cent said they would increase their ESG investments over the next five years, but 1,000 Australian investors believed there were significant barriers to investing ethically. Mr Sowerby said that a lack of information was the main barrier to ESG investing with the differences highlighted by different generational approaches. Mr Sowerby said that ESG investments would continue to grow in prominence driven in part by companies who have found that ESG behaviours do equal profit and sustainability. “In addition, when we asked Australian investors which ESG factors they considered to be the most important, environmental considerations were cited as the most important (30 per cent), with social factors at 19 per cent and governance [at] 27 per cent, while 24 per cent said the three factors are equally important,” Mr Sowerby said. Mr Sowerby said that, moving forward, ESG investing would be considered part of a holistic portfolio rather than exclusionary.